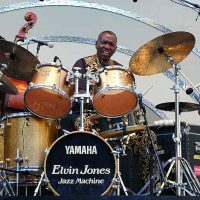 Elvin Jones is arguably the most influential and beloved jazz drummer ever. His unending energy and love for life, music and creativity are fundamental elements of his enduring legend. 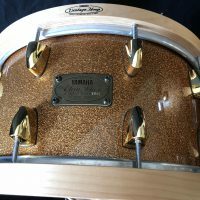 This Yamaha drum set is one of presumably 4 virtually identical sets supplied to Elvin Jones between the mid-1990s and his passing in 2004. I acquired this, plus another matching set directly from Elvin’s estate (also on this website). 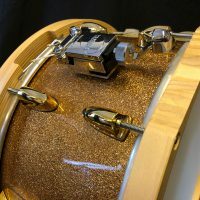 The other 2 matching sets are on display respectively at the Yamaha Drum and Zildjian Cymbal headquarters. 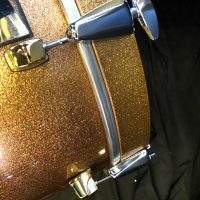 The drums are Yamaha Maple Custom shells in Elvin’s signature Champagne Sparkle finish with gold lugs. 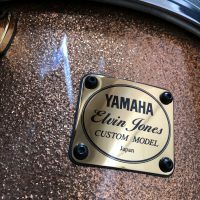 Each drum has an “ELVIN JONES CUSTOM MODEL” badge. 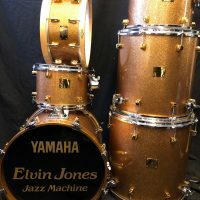 The set includes the complete set of custom cases in photos and a complete set of Elvin’s Yamaha hardware. 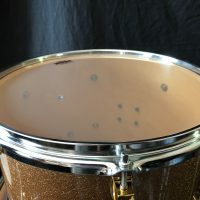 18×14″ bass with “Elvin Jones Jazz Machine” logo head, 14×7″ Signature Model snare, Serial # 0045, 12×8″, 13×9″ toms, 16×16″, 18×18″ floor toms. 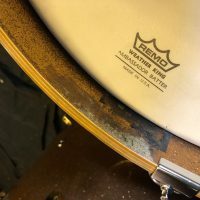 A pair of Elvin’s stage used sticks, brushes, his stage worn Jazz Machine T-shirt and a poster from Elvin’s personal collection of his own gig posters will all be included with the sale. 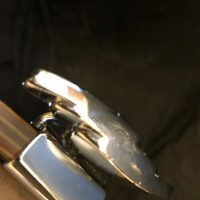 Also included are a pair of what appear to be custom or prototype bass drum hoops that are notched for the bass pedal and have holes for anchoring spurs. 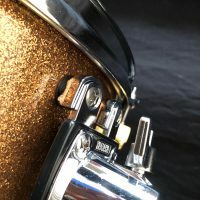 A complete set of Elvin’s K Zildjian cymbals are available separately. 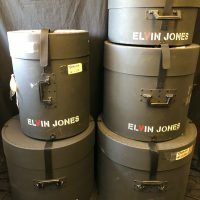 This set is part of a large collection of Elvin’s drum gear acquired directly from his wife. 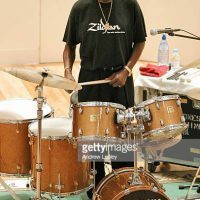 I acquired virtually all of Elvin’s massive drum collection in several installments, starting shortly after he passed in 2004. 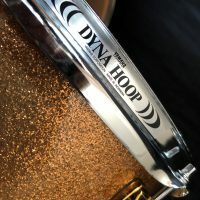 This set was amongst the last shipment received in May of 2018. The entire set is in excellent condition with no notable flaws. COA signed by Keiko Jones. 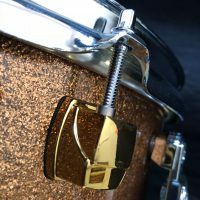 Due to extreme high value of this set I prefer to ship the drums packed in a wooden crate via freight from Seattle WA. This is by far the safest way to ship a large item like this. 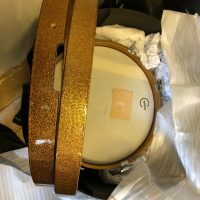 Plan on about $800-$1,000 shipping in the US. I will ship internationally. Call for rates. 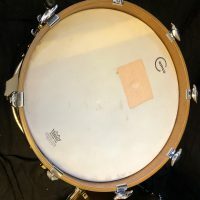 This offering presents a rare opportunity to own a complete drum set used by one of the greatest musicians of all time.